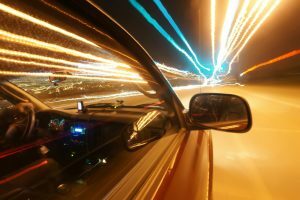 Digital Acceleration – Foot down, brake off? November 22nd will be the fifty fourth anniversary of JFK’s assassination and, for those of us that were alive then; we always seem to remember where we were when we heard the news. Likewise with the first man on the moon, and England winning the World Cup (Yes, really!). So in a new age where we seem to be far less affected or shocked by what once were tumultuous events, will anyone in the business world remember where they were or what they were doing when the phrase “Digital Transformation” finally had its last conference or blog outing? Before you accuse me of technological heresy or journalistic hyperbole, I have to admit to even using the phrase myself recently, albeit somewhat ironically. And it’s not as if each individual word doesn’t have meaning or value. Consultants have been gorging themselves at the transformation buffet for years and I think we all know that change wouldn’t go amiss at most (all?) businesses). But like many other 21st century words and phrases this one is getting way past its sell- by-date (there’s another one!). It feels as if despite all of our best efforts, many of us just don’t know what it means. Or at least don’t necessarily know what it means for our business. 47% of companies haven’t started to embark on digital transformation. In the cause of simplification and drawing on experiences from the world of customer interactions, here’s a scenario that I believe will resonate and provide insight into a common operational nightmare. Despite, and perhaps because of, the hype surrounding digital, and the fading promise of the smooth, seamless, channel shifting journey, there remains for many customers and practitioners a huge disconnect between customer experience ambition and operational reality. The elephant in this room is often the old and creaking legacy technology, defined in many dictionaries as “of, relating to, or being a previous or outdated computer system.” As a customer, the big clue is when a customer service agent says “my system’s slow”, followed by the even more awful, “bear with me.” Contact centre agents are equally perplexed and there is a lot of cutting, pasting, toggling, swearing and leaving, usually in that order. I can truly feel the pain and embarrassment that comes with slow, cumbersome legacy systems, when what the customer really wants is effortless, fast and effective service. The challenge that most businesses face is that information and customer contact data and history reside in different places, in different forms and now across many channels. And is often held captive by these much maligned legacy systems that are expensive to replace or modify. So when customer and colleague frustrations finally surface in the boardroom digital transformation moves swiftly to the top of the agenda. This usually means embarking on the traditional process of requirement gathering, vendor beauty parades, costly RFP development and lengthy and complex procurement exercises, by which time many of the constituents have lost the will to live. And the “project” often dies with them. This, as statistics suggests, is what prevents many businesses from taking the leap into what they believe is the unknown. It would be naïve of me to try to suggest that there is a simple solution, but there is a far less expensive and time consuming one that you should consider. However, it will require that you put your foot down and move with more agility. This is a five step program that starts by understanding the current customer experience (CX), and using that as a benchmark to define and document the strategic, operational and technical challenges that you face. This will be the first milestone to create a customer experience management (CEM) solution that has immediately demonstrable and quantifiable benefits for customers and the business. With the right support and prioritization this can be accomplished in 30-45 days. This approach can be vital for those organizations looking at implementing cloud based model offices and innovation hubs as a way to conduct discovery exercises and fast track strategic, procedural and operational developments. This enables them to trial these concepts in “what if” scenarios that can mirror customer behaviour, colleague actions and determine acceptance of the proposed changes or any obstacles to their introduction. Even if an organization needs to go to tender, they can go with a much clearer idea of requirements, and knowledge of the “art of the possible” that can significantly reduce procurement time frames and costs. The end result is that these solutions can make life easier, quicker and satisfying for customers, smoother & less time consuming for colleagues and more cost effective for the business. So why don’t you get started, and put your pedal to the metal. 2019 will be here in no time. Will you still be in business?